See how I am painting my Old West miniatures. 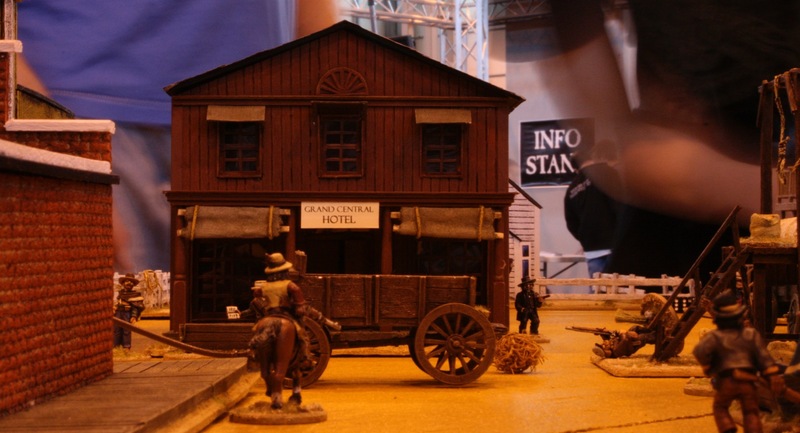 For photographs of other miniatures which might be of interest to Old West players, check out the Darkest Africa and Tally Ho Miniatures Galleries. 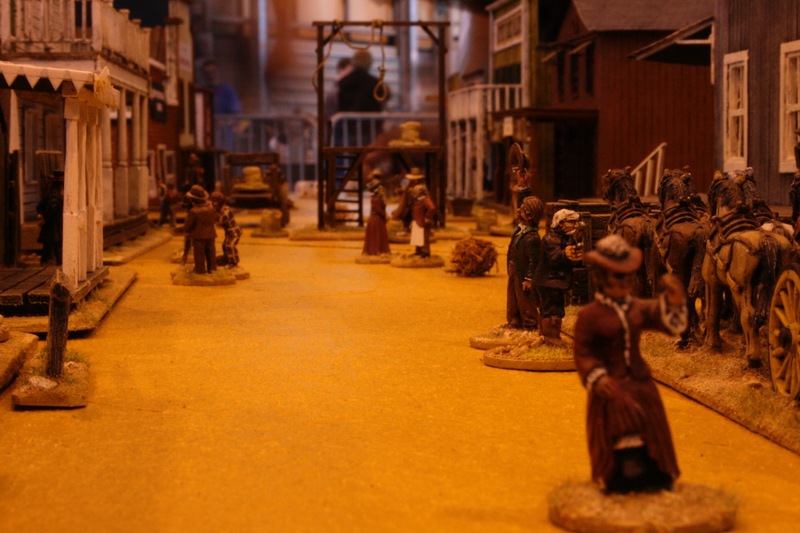 A tabletop miniatures game which allows you to bring to life the deeds of the brave lawmen and gunfighters of the most famous period in America’s history. This lavish, full-colour manual contains all the rules you need to gather your posse and play games set on the harsh American frontier. Within you will find eight action-packed scenarios, and a campaign system that allows you to develop your fighters into hard-bitten heroes and villains of the Old West. Fight alongside some of the deadliest figures of Western legend - such as Billy the Kid, Doc Holliday and Wyatt Earp. Rob a stagecoach with the James gang, or try to out-draw Wild Bill Hickock. Grab your sixgun, saddle your mustang and prepare to take part in the wildest adventure of them all! 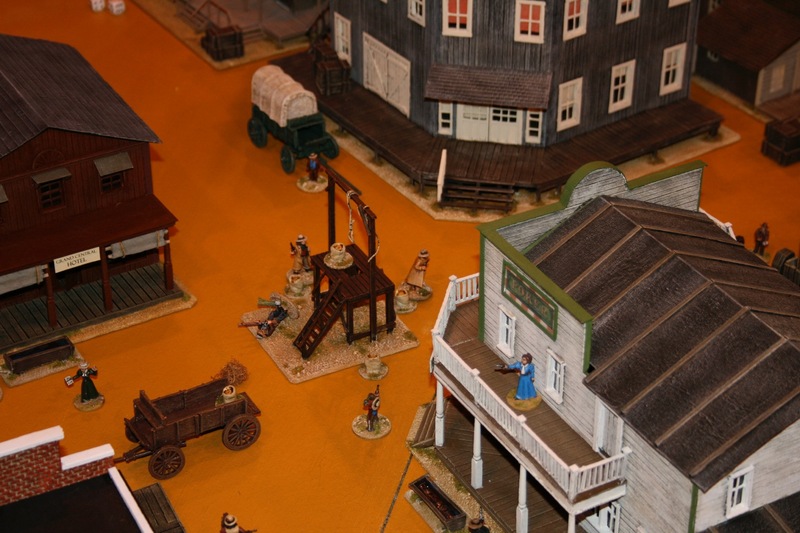 See my Old West Miniatures Workbench. Miniatures from the collection of Felix and Simon and some from games at GamesDay.